Is it just us, or does the world feel like it is about to implode right now? Every time we switch on the news, all we see is sheer horror; the rise of Trumpageddon, nationalism and the biggest political mess since Abraham Lincoln picked up his tickets at the box office. 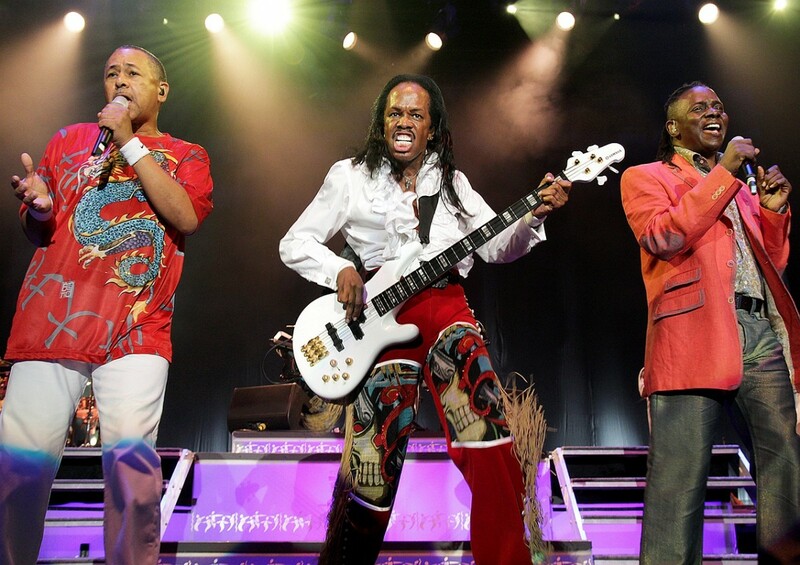 Some feel-good positivity wouldn’t go amiss, and that is just what Earth Wind & Fire gave us at the Echo Arena. Opening with an instrumental jam that appeared to be primarily based on the title track of 1980’s Faces record, they then went straight into Boogie Wonderland, the distinctive horns that open the song eliciting loud screams from the audience. It became clear early on exactly why Earth Wind & Fire continue to attract audiences. They are slick, with impeccable harmonies and funky to boot. Although the Echo Arena is halved to its theatre size tonight, it feels like an arena. The show is simple, but huge, with lasers, cosmic imagery and scope. They frontload the show with hits, Shining Star and Jupiter in particular coming surprisingly early. After around 40 minutes, they shift gears, with frontman Phillip Bailey asking if there are any true Earth Wind & Fire fans in the house. Apparently satisfied with the response, the group indulge in their rich history, particularly that of the early 70s when they were a more jazz-influenced outfit, and a rendition of Sun Goddess, their 1974 collaboration with jazz legend Ramsey Lewis, may have been unfamiliar to many in the crowd, but it was genuinely captivating. The same can be said of Kalimba Story. A kalimba is a traditional African instrument, and Bailey preceded the song with an actual Kalimba solo, thus proving the rich musical heritage that band have always proudly worn on their sleeve. Need more funk? George Clinton’s mothership is landing in Liverpool at the end of the month. Read all about it here. There have been an abundance of celebrity deaths recently, and what makes it so tragic is that the people who have been leaving us have been those who have had a profound effect on our lives. Earth Wind & Fire suffered the loss of founding member Maurice White back in February, the man who first had the idea to form the group and led them through their success. They pay tribute to him tonight with subtlety with his image appearing on the screen during two songs – a funky Serpentine Fire and a beautiful That’s The Way Of The World. They don’t have to draw attention to it, and they don’t have to spoil the show’s flow to bog us down in too much sentiment. The message is clear; remember Maurice for the music. Fittingly, it is Maurice’s brother, bass player Verdine, who steals the show. Ever the showman, he is wearing a pair of red, glittering trousers, and enthusiastically stomps around the stage throughout the performance. He spends much of the show with an infectious grin on his face, and it is difficult not to smile back at him. About two-thirds of the way through, they brought out the ballads. Truth be told, they may have placed them too close together in the set, and one ballad after another had the potential to bring the mood down. Luckily, breaking out uber-hit After The Love Has Gone put those fears to rest as the entire crowd sang along. This was followed by Reasons, during which Phillip Bailey hit notes that we didn’t even know existed. It took him a few numbers to warm up tonight, and perhaps he needs to pace himself to pull off what this song requires. 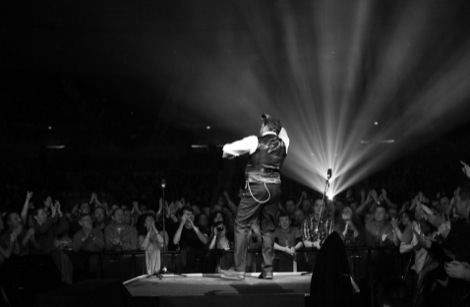 But when the moment came, the crowd were bowled over. It wasn’t just impressive for a 65 year old, it was impressive full stop. Naturally, the big guns came out towards the end of the show, starting with Got To Get You Into My Life (curiously, birthday boy Ralph Johnson made no mention of the fact that it was a Liverpool tune whilst talking to the crowd during the intro) and moving into Fantasy, September (surely one of the ultimate summer jams) and finishing with Let’s Groove, which saw the crowd on their feet and stomping along to every beat and screaming every lyric. After an encore break that was probably only long enough for the band to quickly wipe their face with a towel, they returned for one more with In The Stone (perhaps this writers’ favourite Earth Wind & Fire tune). Reaction to the bows for the three original members, Verdine White, Ralph Johnson and Phillip Bailey, prove exactly how loved this band is. It may have been a night filled with hits and nostalgia, and they probably play it the same every night, but the balance between this and their musicality was second to none. And, besides, we kind of need their message of love and positivity now more than ever. 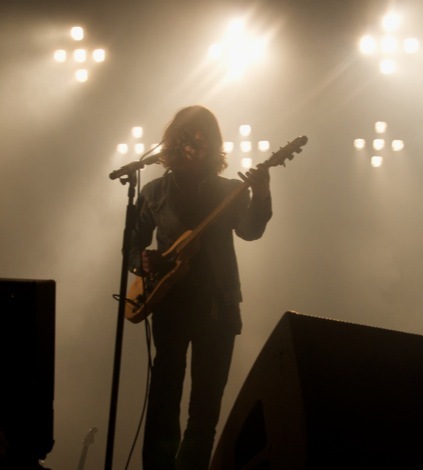 Previous ArticleAre all-male bands who use female names alienating women in music?